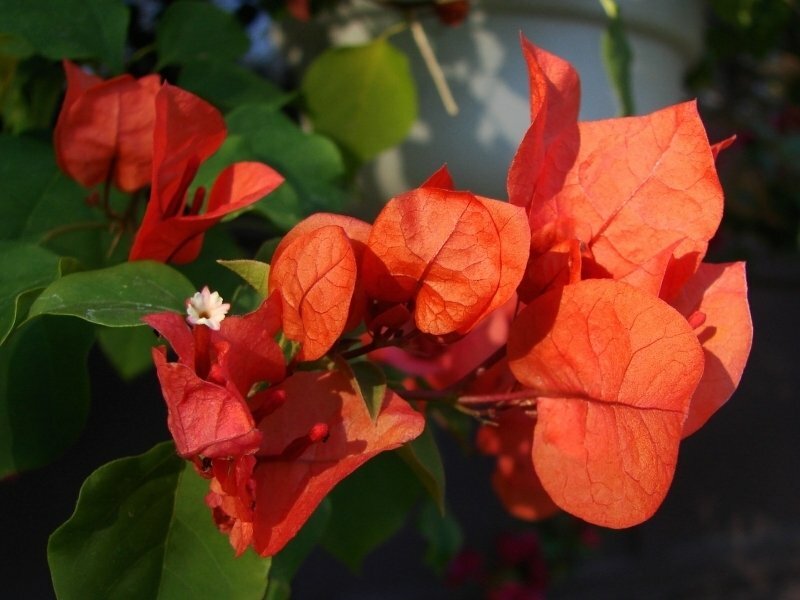 Bougainvillea 'Alabama Sunset' (Bougainvillea) orange blooms that are starting to turn apricot then pink with age. 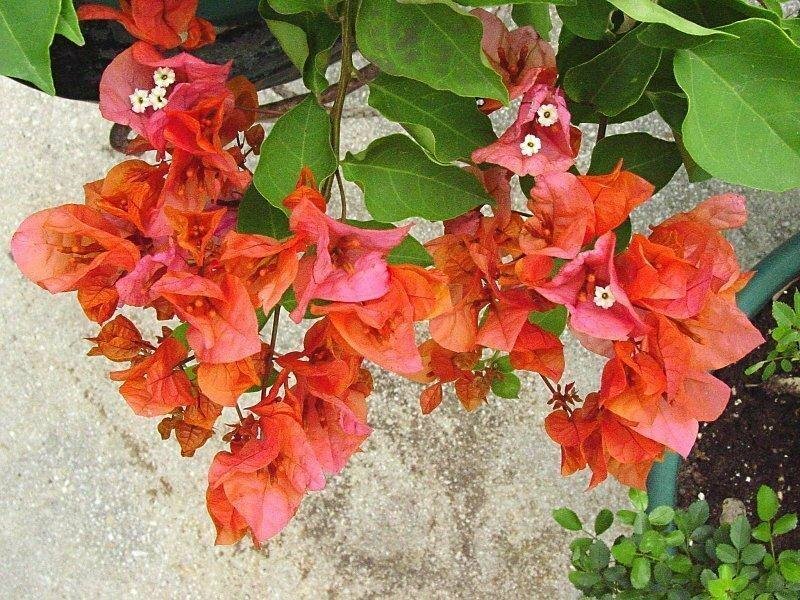 A view of Bougainvillea 'Alabama Sunset' (Bougainvillea) showing its lovely bract color ... I am sorry that the photo is not one of my best. 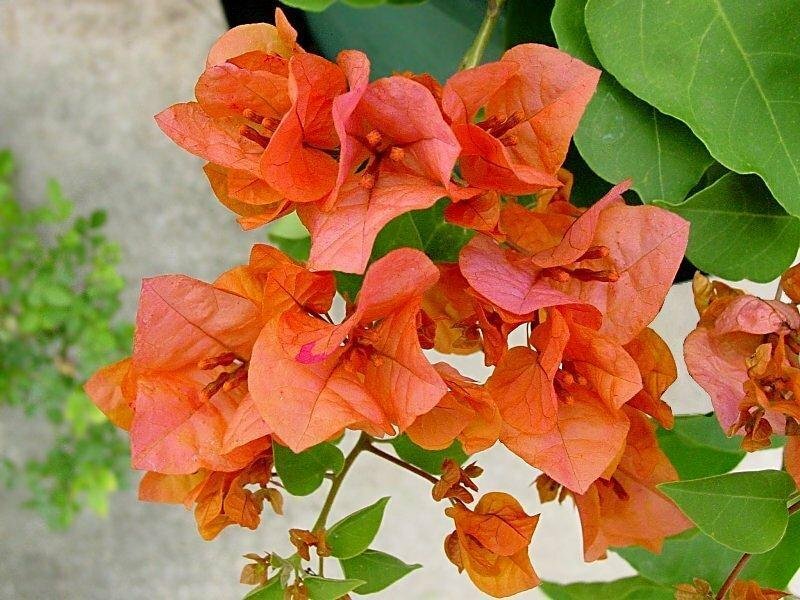 The bracts of the Bougainvillea 'Alabama Sunset' are much more vibrantly colored in the fall and the small blooms have some pink tones instead of being almost entirely white. These bracts have no apricot nor pink colors yet.